Mark Zuckerberg jogs through Tiananmen Square in March 2016. Photo via Facebook. This was remarkable on several levels. Facebook has been almost continuously inaccessible in China since 2009, as some of Zuckerberg's followers were quick to point out — practically speaking, how did he post that update? Others remarked on the conspicuous cloud of smog hanging in the background. 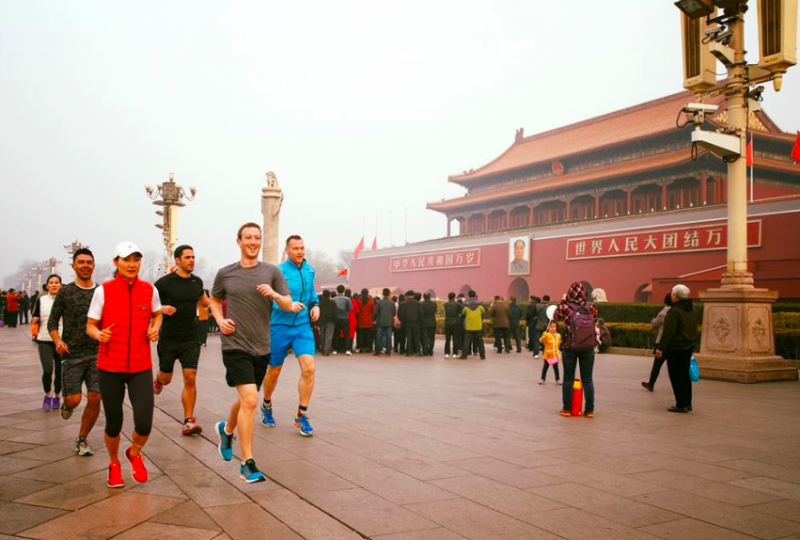 Multiple users remarked on pollution and human rights after Mark Zuckerberg posted about his jog through Tiananmen Square in March 2016. Photo via Facebook. It is not surprising that Zuckerberg's followers had such wide-ranging ideas of what truly happened. After all, this history has been systematically disappeared from the public record in China, both online and off. 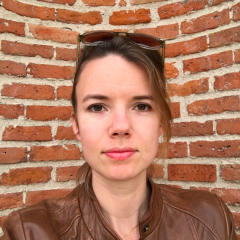 The 1989 protests and ensuing massacre at Tiananmen Square represent the most sensitive and heavily censored topic on the Chinese internet — conversations like the one on Facebook can scarcely take place on Chinese social media platforms like WeChat and Weibo, if at all. The Chinese government prohibits all forms of offline and online discussion on the Tiananmen protests. It requires internet companies and platforms to censor websites, stories and academic texts related to the protests, along with all online posts that mention “Tiananmen Square”, “June 4″, and “Hu Yaobang” (the politician whose death sparked the protests). Even images of candlelight, symbolizing a vigil, have been banned in the past. 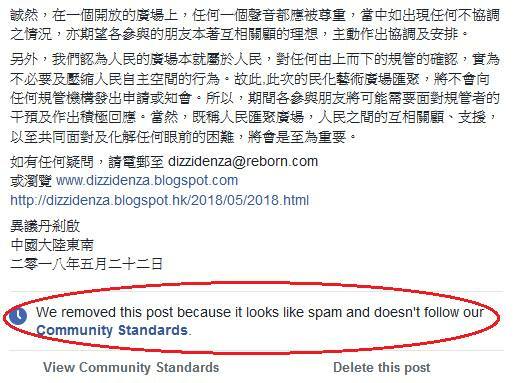 Facebook users in Hong Kong protested the removal of the frame and expressed concern that the site was curbing their freedom of expression, in what they suspected was an effort to appease the central Chinese government and perhaps increase Facebook's chances of re-entry into the lucrative Chinese market. Just last week, another message promoting solidarity with the Tiananmen protesters was censored on Facebook. 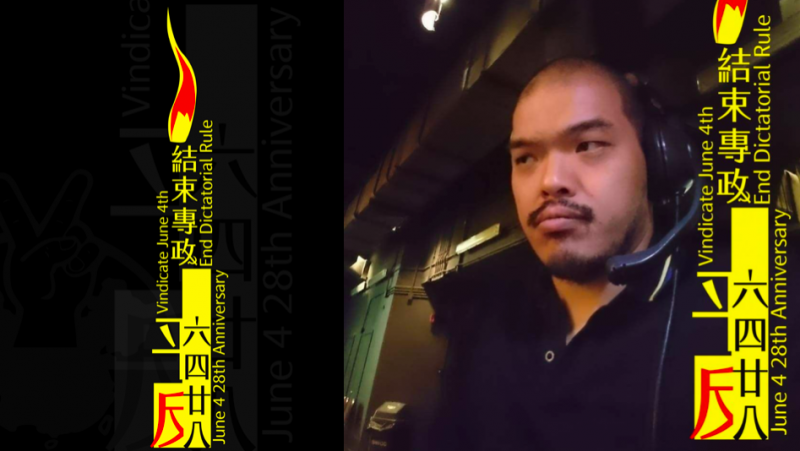 The message invited supporters to join an event in Hong Kong called “The Voice of Dissent”, on the eve of the 29th anniversary of the massacre. Automated messages from Facebook identified the message as spam. This may have been a technical designation, due to a generic email address that appeared in the message, but it still raised suspicion among Hong Kongers that something was amiss. In its current form, Facebook does not offer users a way to ask questions about the company's actions and be guaranteed a concrete, specific answer. When a piece of content is removed from the platform, there is not a meaningful process of appeal where users can expect an explanation of why this piece of content, specifically, was removed. Between the Cambridge Analytica revelations, congressional hearings in the US and the EU's freshly-implemented General Data Protection Regulation, there is a strong chance that Facebook's ability to monetize user data will soon face new limitations. This means that Facebook will need to find new ways to make money and grow its business. Entering the Chinese market — if the Chinese government will give its blessing — would be a surefire way to secure the company's future.